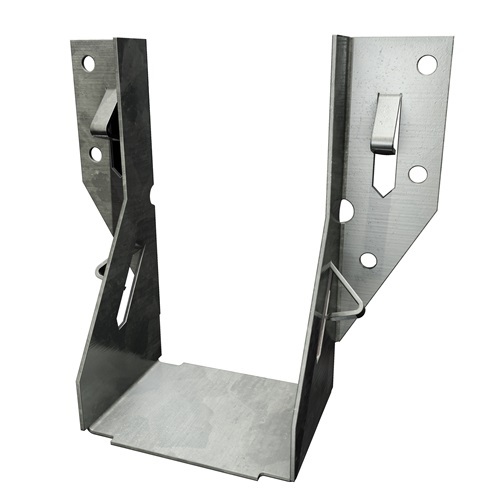 Light speed prong hanger for timber to timber (LUP's) from Simpson Strong-Tie are one piece non-welded joist hangers for supporting timber joists from timber members. Extremely fast, easy installation due to the use of speed prongs to hold the hanger in position for header nailing as well as the joist into the hanger. Suitable for 100mm to 150mm timber heights. Hanger For Timber to Timber Pre-galv.